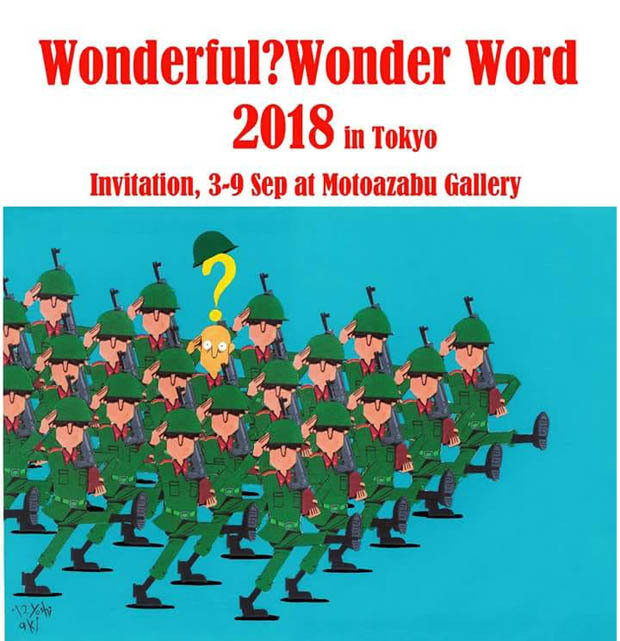 We held the cartoon exhibition ‘Wonderful? Wonder World 2017’ with the great support by cartoonists all over the world. This year we will hold ‘Wonderful? Wonder World 2018’. We would like the cartoonists to participate this exhibition. This exhibition will be open to every professional and amateur. Now there have been a lot of problems around the world, war, refugees, dictator, poverty, unilateralism and so on…. We want to show the images of recent world situation to Japanese people. ・The exhibition will be held in 3-9 September 2018. ・The cartoon isn’t necessarily new work. ・All the cartoonists will be introduced on Face book page with the works. ・If we get so many cartoons, we will exhibit a work by a cartoonist. ・The works have be sent on internet in over 200 Dpi and Jpeg. ・Dear line; from 25 July to 10 August. ・Address; yoshiakiyokota@yahoo.co.jp or Face book message. If you have any question, please let us know. Please participate to our small but meaningful event. The Executive Committee of Wonderful? Wonder World.